Biotech startup Invenra has raised $2 million in new equity financing. The cash will be used as “operating capital” as the cell-free antibody maker continues to add employees and line up sales prospects, vice president of business development Mark Kubik said Wednesday. The company, based in Madison, WI, is one of a select few using cell-free protein expression to develop therapeutic monoclonal antibodies. Twenty-eight investors participated in the latest round, all of whom had previously given Invenra money, said Kubik. Invenra, founded in 2011, has raised more than $8 million to date, a total that figures to jump when the company closes on another $1 million in debt financing, which Kubik said will likely happen in the next month. Kubik said the soon-to-close round is from “Wisconsin development funds.” In something of a reversal, he said, it was the investors who pitched the startup. CEO Roland Green brought the idea to Invenra’s equity investors, who gave the thumbs up, said Kubik. The money will allow the company to broaden its partnership with U.K.-based Oxford BioTherapeutics, which was announced in June. Oxford, which develops antibody drug conjugates to identify cancer targets, is “interested in further access” to Invenra’s technology, Kubik said. That technology involves a sequence of binding and function, Kubik said. 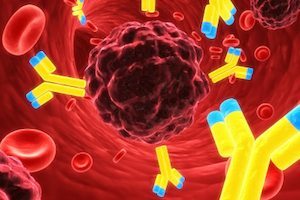 That means not only getting antibodies to stick to epitopes on the target, but also doing something to the target upon which antibodies are expressed. Kubik said Invenra has hired three antibody discovery scientists since signing the Oxford partnership, bringing the current employee count to around 15. He said he anticipates more growth.